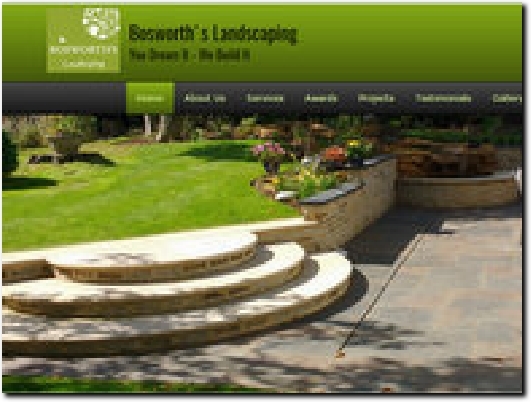 Bosworth's Landscaping is the landscape gardening Kettering division of Bosworth's Garden Company, a family run business for over fifty years. We are an award-winning member of the Association of Professional Landscapers and specialise in garden design, landscape construction and build landscaping for both domestic and commercial clients. Our work is carried out by in-house teams of skilled craftsmen and qualified designers to ensure that you receive a professional service and quality workmanship. We cater for all size projects from single features such as a timber pergola or a paved seating area to the more exciting projects that include a complete makeover with on going maintenance. Based at our Garden Centre in Burton Latimer, Kettering, we service all the surrounding counties of Northamptonshire, Bedfordshire, Leicestershire, Rutland, Cambridgeshire and Peterborough. Is it time to give your outside space a garden makeover? Award-winning Northamptonshire - based garden landscapers, and Member of the Association of Professional Landscapers. Family-run business for over fifty years, serving both domestic and commercial clients. The Projects and Gallery tabs show work undertaken while Testimonials leads to positive comments from happy clients. Contact gives the business postal address, phone and e-mail details and a Request a Quote form.